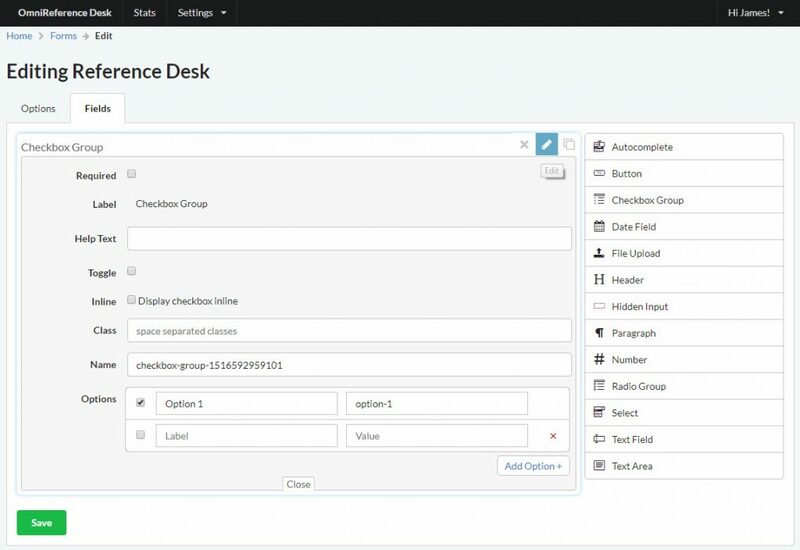 OmniReference Desk allows you to capture several pieces of information in just a few clicks. In addition to Location, Desk, Contact Method, Form, User, Time Spent, and Time of Record, you can configure custom forms with fields. To create a new form, simply navigate to the “Settings” menu and click “Forms” in the drop-down. The first step in creating a new form is to give it a name and select the Locations (if available) where you would like to have it available. When you save a new form, you will jump directly to the Fields tab to begin customizing the form fields. You can start adding new fields to the form by clicking on the Field type in the right sidebar or by dragging and dropping the Field into the desired position. Once the Field has been added to the Form, you can edit the options for each Field by clicking the pencil icon in the upper right corner. Alternatively, you can copy or remove fields using the other controls next to the edit icon. Each Form has several additional options that you can access from the “Options” tab. 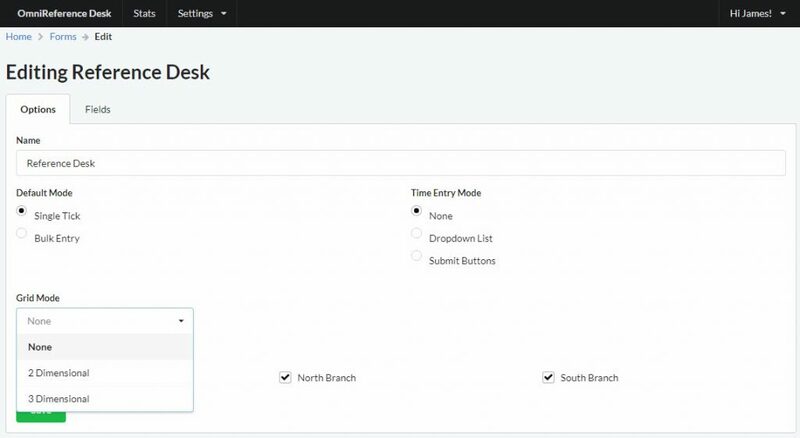 Each form is available in both modes, but setting some up with Bulk Entry as the default can streamline your workflow. Single Tick – This will be the default option for most forms. It records a single tick for every form entry at the time it was entered. 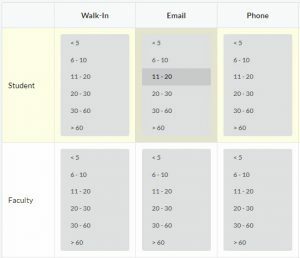 Bulk Entry – This option will add 2 additional fields to the form. The first is the number of Ticks to record and the second will allow you to set the date and time. If you would like to track how long is spent answering reference questions, there are several options for how you enter the time spent. None – This option will disable time tracking. Submit Buttons – To save clicks, you can change the form’s submit buttons to the time entry values. Instead of a form submit button, clicking on a cell in the table will submit the form and record a tick. 2 Dimensional – The 2D Grid will easily allow you to select two options with a single click and show the number of click in each cell using the current form in the current session. 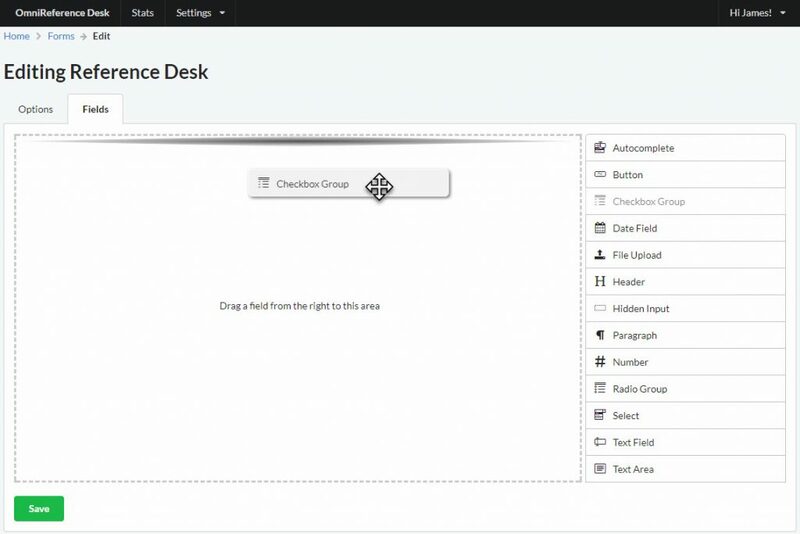 3 Dimensional – The 3D Grid goes one step further to add button options to each cell of the table allowing you to record 3 parameters with a single click. Don’t forget to click “Save” to apply all changes to the the Form.